After a fantastic opening weekend at the Irish box-office with further expansion this week, The Man Who Wanted To Fly has been officially selected for Newport Beach Film Festival and also nominated in the Single Documentary category of the Celtic Media Festival. The largest international cinema event in South California, the 20th Newport Beach Film Festival will take place from April 25th to May 2nd. The Celtic Media Festival, which is held in a different Celtic heartland each year, will be situated in Aviemore in the Scottish Highlands this time round, and will run from June 4th to 6th. “The reactions we’re getting from audiences are astounding,” said Trisha Canning, producer of The Man Who Wanted To Fly. The Japanese Film Festival returns for its 11th outing this April, with a packed programme that will bring the best of Japanese cinema to screens across Ireland. This year the schedule includes 46 screenings of 16 feature films across Dublin, Galway, Tipperary, Cork, Limerick, Sligo, Waterford and Dundalk. The festival kicks off this year on the weekend of Saturday April 6th and Sunday April 7th with screenings in Dublin and Galway, and will continue until Saturday April 20th with the final screenings in Dundalk and Waterford. This year’s programme includes the brilliant yakuza thriller The Blood of Wolves, which recently picked up four Japan Academy Prizes. Born Bone Born is a crowd-pleasing family drama focused around the Okinawan custom of senkotsu (bone washing ceremony). Jesus is a true original from first-time director Hiroshi Okuyama, focusing on one lonely boy’s experiences when a miniature, dancing Jesus Christ shows up unexpectedly. Quirky rom-com Tremble All You Want boasts an extraordinary central performance from Mayu Matsuoka. Meanwhile, acclaimed director Shinya Tsukamoto (best-known for the Tetsuo series) returns with his latest film – the brutal but thoughtful samurai thriller Killing. Elsewhere, The Chrysanthemum and the Guillotineis an epic and intelligent drama in which the worlds of female sumo wrestling and anarchist violence collide. The festival will host extra cinema screenings of the smash hit zombie comedy One Cut of the Dead plus an opportunity to discover a neglected one with the outrageous 1980s musical gem The Legend of the Stardust Brothers. This year’s anime selection includes Irish premieres of two new films. The charming Penguin Highway marks the first full-length feature from Studio Colorido, and is a delight for all ages. Elsewhere, there will be few dry eyes in the cinema during the moving romantic drama I Want to Eat Your Pancreas. Ticket sales information for screenings are available from each participating venue. The Irish box-office smash hit Black 47 directed by Lance Daly is available to view on Netflix from Sunday 31st March. We take a look at some of the Irish films making their way to screens this year. In order of latest release dates with films TBC below. We’ll update films, premieres and release dates as they come in. Irish Traveller Francis has to fight for the right to pursue her passion…boxing. She is determined to make her idol Muhammad Ali proud, as well as her father who has recently been released from prison. But when she wants to show him just how tough she is, she soon comes to realise he’s got other plans for her. Convinced that Callahan buried his daughter in the bog land, the father has spent every day of the previous 15 years digging it patch by patch. A sweet, naïve young woman making a go of it in the Big Apple, Frances doesn’t think twice about returning the handbag she finds on the subway to its rightful owner. That owner is Greta, a peculiar pianist with a predilection for Romantic music and a desperate need for company. Frances recently lost her mother and feels alienated by her father; Greta has lost her husband, and her daughter lives far away. The two become fast friends — but that friendship rapidly assumes ever more sinister hues as Greta’s attentions escalate. CAST: Chloë Grace Moretz, Maika Monroe, Isabelle Huppert. Ben Slater and his wife Hazel, in the wake of the tragic death of their daughter, Molly, retreat to the west coast of Ireland to build themselves a new life in a quaint hotel by the sea. However, there is no escape for Ben who is plagued by a recurring dream of a perfect day all three of them spent on the beach last summer. Ben becomes convinced that he can change the past through this dream and bring his little girl back. As his determination to bring Molly home grows, his grasp on reality slips and his sanity is questioned by those around him. Somewhere between dreams and reality lies the truth. After a police investigation, a young mother, confused and scared, confesses to a crime she did not commit and is charged with murder. Based on real events in 1980’s Ireland. James Allen is a successful, controlling, thirty-something banker living alone and working in Dublin city at the tail end of the recession. When a family tragedy occurs due to the ruthlessness of his employer, he takes decisive action to try to make things right. Meanwhile, his enigmatic co-worker Alison has her own agenda, which puts her on a collision course with James, triggering and a dark spiral of deceit, revenge, and murder. The story of young love to tortured loss and back again, the story follows Aidie a fighter inside and out – as she searches for her son while in the grip of the Church. A political thriller about an enthusiastic junior officer from The Hague War Tribunal in pursuit of justice. The arrest of General Miro Pantic ends a decade-long manhunt that had frustrated his Western pursuers and left festering one of the bloodiest chapters in Europe’s recent history. He had been indicted by a War Crimes Tribunal on charges of crimes against humanity, but when an envoy from The Hague comes looking for an internal witness – Nikola Radin, alas The General – the problems begin. Getting out of the wilderness is not easy as no one wants The General to testify against Pantic, whom they perceive as their national hero. The bloody men-hunt will give a life-changing lesson to the young envoy who will understand that there are many more shades to what he thought was a black and white picture. Documentary centres on the men who unwittingly became war photographers on the streets of their own Northern Irish towns. Expecting a career of wedding photography and celebrity photocalls, the images they produced would come to define that conflict. Early 18th century. England is at war with the French. Nevertheless, duck racing and pineapple eating are thriving. A frail Queen Anne occupies the throne and her close friend Lady Sarah governs the country in her stead while tending to Anne’s ill health and mercurial temper. When a new servant Abigail arrives, her charm endears her to Sarah. Sarah takes Abigail under her wing and Abigail sees a chance at a return to her aristocratic roots. As the politics of war become quite time consuming for Sarah, Abigail steps into the breach to fill in as the Queen’s companion. Their burgeoning friendship gives her a chance to fulfil her ambitions and she will not let woman, man, politics or rabbit stand in her way. Set in Dublin, Monika has a dream to play a one in a lifetime concert. Her mother is sceptical and reluctant to support her daughter’s dreams, and so she sells their keyboard and forbids Monika from attending the concert. However, Monika stops at nothing to pursue her dream. A long-standing family feud in a small Irish town over the course of a week. A young woman rebuilds her life after an acid attack leaves her with severe facial burns. There is much rivalry between twin sisters Emma and Chantal, quite different in just about every way, when their mysterious young neighbour moves back in. Brings us into a unique place beyond the reach of television news reports to reveal a world rich with eloquent and resilient characters, offering us a cinematic and enriching portrait of a people attempting to lead meaningful lives against the rubble of perennial conflict. The true story about the love affair between socialite and popular author Vita Sackville-West and literary icon Virginia Woolf. Dublin teenagers Matthew, nihilistic Rez, and the deranged Kearney, leave school to a social vacuum of drinking and drugs, falling into shocking acts of transgression. The crew of a West of Ireland trawler, marooned at sea, struggle for their lives against a growing parasite in their water supply. CAST: Connie Nielsen, Hermione Corfield, Dougray Scott. Cast adrift in Los Angeles, Sean — a lonely TV weatherman — drives past a middle-aged Latino migrant worker standing outside Home Depot looking for work. He decides to hire this kind-looking man — to be his friend. Sean is young, gay and white; Ernesto, portly, straight and married. Despite having nothing in common, they build a sort of friendship based on sign language, until Sean becomes consumed by a deep and obsessional attraction. In sharp contrast to the all pervasive romanticised and glamorised media image of the Sicilian Mafia, Shooting the Mafia, unflinchingly explores the stark reality of life, and death, under the oppressive yoke of the Corleonesi Mafia. A driving instructor must use her other-wordly gifts to save a lonely man’s daughter from a rock star looking to use her for Satanic purposes. The story of two sisters who grew up on the fractious Irish border. When one of them, who has gone missing, finally returns home, the intense bond with her sister is re-ignited. Together they unearth their mother’s past, but as they uncover the secrets and resentments that have been buried deep down, it all threatens to overwhelm them. Chronicles the recording of PJ Harvey’s The Hope Six Demolition Project in London, as well as Harvey and photographer and filmmaker Seamus Murphy’s travels in Afghanistan, Kosovo and Washington D.C. In darkest rural Ireland, ex-boxer Arm has become the feared enforcer for the drug dealing Devers family, whilst also trying to be a good father to his autistic five year-old son, Jack. Torn between these two families, Arm is asked to kill for the first time, and his attempt to do the right thing endangers everyone he holds dear. Rose is at university studying veterinary science. An only child, she has enjoyed a loving relationship with her adoptive parents. However, for as long as Rose can remember she has wanted to know who her biological parents are and the facts of her true identity. After years trying to trace her birth mother, Rose now has a name and a number. All she has to do is pick up the phone and call. When she does it quickly becomes clear that her birth mother has no wish to have any contact. Rose is shattered. A renewed and deepened sense of rejection compels her to keep going. Rose travels from Dublin to London in an effort to confront her birth mother, Ellen and learns a secret that has been kept hidden for over 20 years. A western in which an Irish undertaker profits when outlaws take over a peaceful American frontier town, but his family come under threat as the death toll rises. Set during the famine, a man loses everything and is accused of a murder. On the run for three years and with the help of a mysterious girl he attempts to rebuild his life. However, his past however comes back to haunt him. Micí Phincí Ó Foghlú is a young musician with a tragic past who is crippled in a car accident and given a chance at redemption when he is recruited by a violent, avant-garde circus. When best friends Finny the Nestrian and Leah the Grymp are finally reunited with their parents on board the ark, they quickly realise that there is no sign of the high waters retreating just yet. Life at sea is not easy, food is bland and stocks are running low. An uneasy, fragile peace between carnivores and herbivores, could break down at any second. Leah convinces a reluctant Finny to agree to a midnight raid of the food stores, which inadvertently leads to them being washed overboard -again!- along with the last of the food supplies. What is to become of Finny, Leah and the rest of the animal kingdom? In the wake of his father’s death, Colm must come to terms with his actions and find the resolve to halt the crumbing facade of his home, his family, and everything he has built. Gravitas Ventures Acquires ‘Lost & Found’. Irish Writer/Director Liam O Mochain’s 3rd feature film Lost & Found has been picked up by Gravitas Ventures for all rights worldwide (excluding Ireland, UK, Australia and New Zealand). The film was recently acquired by Rialto Film Distribution for AUS/NZ, FILM 4 and High Fliers for the UK and RTE TV in Ireland. Lost & Found was released in the UK in Oct and Ireland in July. The film had its world premiere at the Galway Film Fleadh where it sold out instantly, won best foreign film at the Arizona Int. film festival and was a buzz title at the recent 25th Austin Film Festival in early November. Liam O Mochain (WC, The Book That Wrote Itself) says, “We are delighted to have made a deal with Gravitas Ventures for Lost & Found. Although just over 10 years old Gravitas have made a huge impact on the industry releasing a lot of great films from fiction to docs from all over the world. I am really looking forward to audiences in North America getting an opportunity to engage with the film when it is released in theatres in early 2019 and internationally later in 2019”. Lost & Found is a feature film with 7 interconnecting stories set in and around a lost & found office of an Irish train station. All segments are inspired by true stories, share a theme of something lost or found, and characters that come in and out of each other’s lives. . The ensemble cast includes Norma Sheahan (Moone Boy), Liam Carney (Outlander, Angela’s Ashes), Aoibhin Garrihy (The Fall), Anthony Morris (Games of Thrones), Seamus Hughes (Jimmy’s Hall), Liam O Mochain (WC), Brendan Conroy (Vikings), Barbara Adair (Derry Girls, Grabbers), Sean Flanagan (Foil Arms & Hog), Olga Wehrly (Vivarium, Nightflyers’), Diarmuid Noyes (Borgia, Killing Bono), Lynette Callaghan (The Tudors) and Daniel Costelloe (Albert Nobbs, Magdalene Sisters). Spears is a mystery / thriller and is the second feature film for Irish director Gerard Lough. Best known for the short Stephen King adaption The Boogeyman and horror feature Night People, this is his first foray in neo-noir. This ambitious thriller takes place in four different countries and stars Nigel Brennan, Michael Parle and Yalda Shahidi. A large international ensemble cast also includes Aidan O’ Sullivan, Bobby Calloway and Rebecca Thompson. The film also aims to highlight the best of new Irish electronic artists with music from bands such as Sleep Thieves. Part of principal photography recently wrapped in Florence, Italy and will resume in Ireland, Berlin and Britain in the coming months. Spears is produced by Fatima Fleming and Lough and is set for a cinema release in 2019. Lenny Abrahamson’s new film The Little Stranger tells the story of Dr. Faraday (Domhnall Gleeson), the son of a housemaid, who has built a life of quiet respectability as a country doctor. During the long hot summer of 1948, he is called to a patient at Hundreds Hall, where his mother once worked. The Hall has been home to the Ayres family for more than two centuries. But it is now in decline and its inhabitants – Mrs. Ayres (Charlotte Rampling), Roderick Ayres (Will Poulter) and Caroline Ayres (Ruth Wilson) – are haunted by something more ominous than a dying way of life. When he takes on his new patient, Faraday has no idea how closely, and how disturbingly, the family’s story is about to become entwined with his own. Gemma Creagh was at the European premiere at the Light House cinema in Dublin and talked to Domhnall Gleeson, Will Poulter, Lenny Abrahamson and Ruth Wilson. Sinead O’Shea’s acclaimed new Irish documentary is set for nationwide Irish and Northern Irish release on 14th of September. One night in 2012, Majella O’Donnell took her teenage son Philly to a laneway near to her home to be shot in the legs by local gunmen. In a shocking, intimate yet often warm and surprisingly humorous portrait of a family, A Mother Brings Her Son to be Shot tells their story. Majella, her son and the gunmen are all part of the dissident community in Derry, Northern Ireland. The Troubles in Northern Ireland was supposed to have ended in 1998 with the signing of the Good Friday Agreement, but this community do not accept the government or police. To them, the war is not over, even as family life continues. In the absence of a normal relationship with the police, dissident Republicans step in to combat a perceived drug epidemic with their own brutal form of justice. Majella was faced with an agonising choice: cooperate with a punishment shooting or risk even worse consequences for her son. A Mother Brings Her Son to Be Shot is produced by Sinead O’Shea, Ailish Bracken and Katie Holly of Blinder Films with Figs Jackman and André Singer of Spring Films and Oscar-nominated Executive Producer Joshua Oppenheimer. The production and release received the support of Screen Ireland, RTÉ and Inevitable Pictures. A Mother Brings Her Song to Be Shot is released nationwide on 14thSeptember. There will be a Q&A with Sinead O’Shea after the Opening Night screening on the 14th September at the Light House Cinema, Dublin (Booking open here) and in the Queen’s Film Theatre, Belfast on 15th of September. The 2018 Galway Film Fleadh takes place 10 – 15 July and brings with it a feast of films from all around the world. Below we preview the Irish films on offer for your consideration. 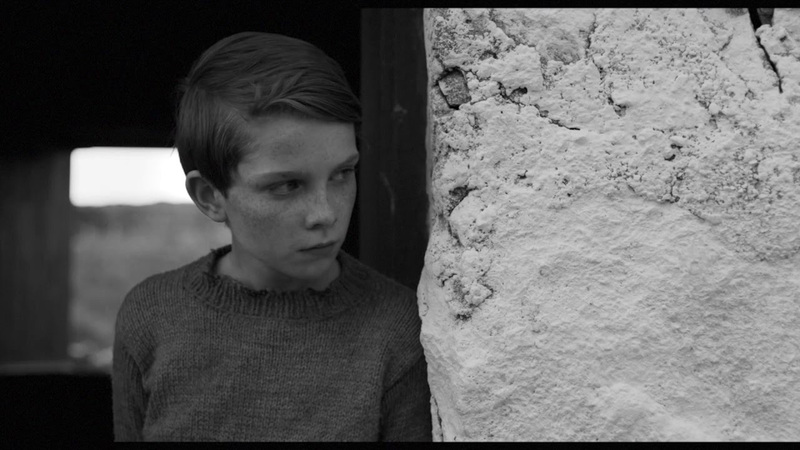 A programme of shorts showcasing film from the West of Ireland. A universal story of generations dealing with the consequences of war and civil war; of what is remembered and what is forgotten. The story of the Glenanne Gang details how members of the RUC and UDR, (a British Army regiment) were centrally involved in the murder of over 120 innocent civilians during the recent conflict in Ireland. Four men embark on an extraordinary version of the Camino – in a traditional boat – in this inspiring, and often dangerous, 2,500 km modern day Celtic odyssey all the way from Ireland to Spain. Thaddeus and Sally are sick of the nursing home, so the two decide to take matters into their own hands and escape to a cottage on the Kerry coast. There, they will have a nice, enjoyable weekend, and then they’re going to commit suicide. Clannad’s Pól Brennan explores how American song collector Alan Lomax came to Ireland on the first stop of a mission to save the folk music of the world. An observational drama centring on well-known Irish musician Adrian Crowley. The first programme in a series of live-action shorts presents nine films in a mix of traditional narrative and experimental storytelling. A collection of short documentaries featuring intimate portrayals of both subject and artist. Bobby Coote is in his eighties, but he still has a dream: one day he wants to fly. He has built himself a hangar, and he has a runway of sorts, all he needs is a plane. And now he is finally going to buy one and make his dream come true. An Irish filmmaker grapples with the legacy of his estranged father, the late documentarian Arthur MacCaig, through MacCaig’s decades-spanning archive of the conflict in Northern Ireland. The Coast to Coast journey begins at the mouth of the Boyne in Mornington on Ireland’s Ancient East and ends at the Cliffs of Moher. A wounded teenage stranger who stumbles into an isolated village of devout Christians gradually reveals his motives. A cinematic tribute to those who suffered loss as a result of the Northern Irish conflict (1968-1998). Timed to mark the 20th anniversary of the Good Friday Agreement, the film is inspired by artist Colin Davidson’s elegiac exhibition of paintings, Silent Testimony. Looking specifically at the women (mothers, sisters and daughters) who lost loved ones at the hands of both the RUC and IRA, the documentary shines a light on a modern-day war that is often forgotten and particularly poignant in light of today’s Brexit negotiations over a hard Irish border. A programme of films from the IFI Irish Film Archive, celebrating the life and legacy of Yeats’ great friend and co-founder of Ireland’s national theatre, Augusta Lady Gregory. A retrospective look at five decades of celebrated composer and the “godfather of Irish electronic music” Roger Doyle and observes him presenting one of his most ambitious musical projects to the general public – his first electronic opera. An unconventional drama about isolation and belonging, about being alone with one’s own thoughts while being part of a shared experience, culture and nation. The third programme of live-action shorts explores the parallels of problems in a variety of settings: modern times to troubled pasts, urban and rural, natural and supernatural. The story of one of New York’s darkest secrets: An island whereone million Americansouls are buried. This selection of seven shorts ranges from modern drama and comedy to films celebrating the cinematic convergence of individual art forms. On the 16th of December 2016 a group of housing activists and trade unionists commandeered Apollo House, an empty Nama-controlled office block on Dublin’s Poolbeg Street and opened a shelter for homeless people. The documentary is a faithful account of events and an honest record of the motivations, beliefs and doubts of those who became involved in making such a powerful statement at Apollo House, and a timely reminder that the homelessness crisis has yet to be resolved. A cinematic yet intimate and complex portrait of Dolours Price, militant IRA activist, hunger striker and dissident Republican who two years before she died gave a filmed interview on condition that it would not be broadcast in her lifetime. Racing from young love to tortured loss and back again, this story follows Aidie – a fighter inside and out – as she searches for her son while in the grip of the Church. With a unique point of view on a familiar trauma. 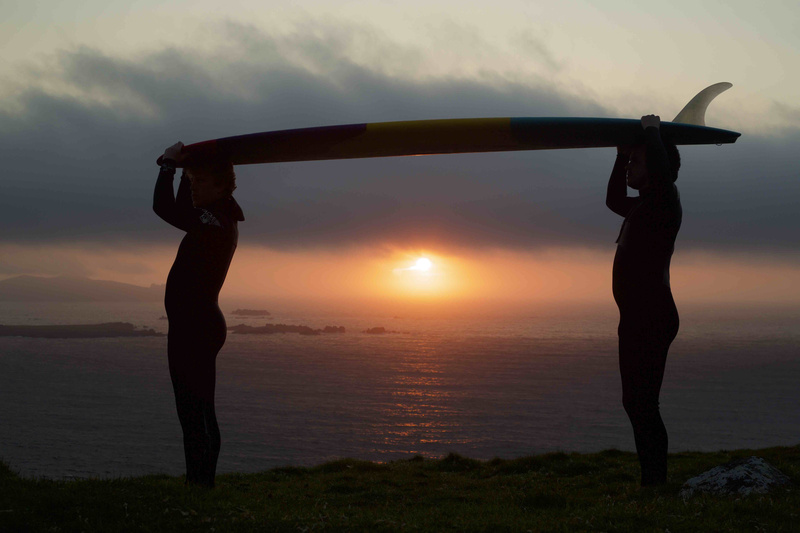 Five short films take us from the rugged Northern coastline, through our rural heartland and onward to the metropolitan UK. The World Premiere of a selection of new Irish short films funded under the Frameworks and Short Stories schemes. Takes the audience on a journey in the company of outsiders making their home in Gort, a small town in the west of Ireland. A myriad of personalities weave an epic tapestry through the bog lands, farms, firesides, race tracks and hurling pitches of recession Ireland. Documentary on Máirín de Burca, Activist, Feminist, Pacifist. Follows champion boxer Katie Taylor as she attempts to rebuild her career after a year of turmoil threatened to derail her career. How do you bring your son to be shot? What happens afterwards? How does family life continue? How does a community respond? When do wars really end? Ben and Hazel are a married couple who have recently lost their young daughter. After relocating to a small beach-side town in Ireland, Ben begins to have vivid, mysterious dreams about his little girl, which he starts to suspect may hold the key to bringing his daughter back to life. This programme of shorts celebrates the creative cornerstone of Irish film: the animation industry. This programme of short documentary film explores different themes through a variety of styles – in English, Italian and the Irish language. Based around a series of intimate interviews with the former Workers’ Party president and Official IRA Chief of Staff; Seán Garland, brought to life through imaginative use of archival footage. |Insights into the roots of the Syrian Revolution and the regional context in which it developed. ’90s superstar Matt Malone’s chart topping days are long behind him until he sensationally returns to the spotlight when a viral video goes wrong. 30th Galway Film Fleadh | Tuesday 10th – Sunday 15th, July 2018. The Arts Council and Arts & Disability Ireland have announced the 2018 deadline for Arts and Disability Connect, a funding scheme for artists with disabilities. Application forms and guidelines for Arts and Disability Connect are available to download from Monday 5th March at www.adiarts.ie/connect. Arts & Disability Ireland will visit Waterford, Sligo, Ennis, Dublin and Portlaoise to talk to artists with disabilities about this funding scheme. At these information clinics we will talk through the guidelines, application process and answer any questions artists have about the scheme. Please RSVP in advance to Amie Lawless: amie@adiarts.ie. If you have any access requirements please get in touch. Irish Sign Language, speech to text and a loop system will be available at the Project Arts Centre on Tuesday 27 March. All venues listed are wheelchair accessible. Kissing Candice has been officially selected for the world-renowned Berlin International Film Festival next month where the film will screen in the Generation strand of the festival. A visceral and thrilling coming of age drama, Kissing Candice is Aoife McArdle’s debut feature film. Both written and directed by McArdle, the film stars the IFTA-nominated Ann Skelly as Candice, a 17-year-old who longs to escape the boredom of her seaside town, only finding solace in her vivid imagination. When a boy she dreams about (played by Ryan Lincoln,Cardboard Gangsters) turns up in real life, she becomes increasingly entangled with a dangerous local gang. Kissing Candice was shot on location in Dublin, Louth and Wicklow and had its world premiere at the Toronto International Film Festival last September. It’s the feature film debut from award-winning music video director Aoife McArdle and was produced by Andrew Freedman of Venom Films (His & Hers, Kelly & Victor, Mom & Me) and Sally Campbell of Somesuch with funding through the Irish Film Board’s Catalyst Scheme. Bord Scannán na hÉireann/the Irish Film Board (IFB) is the national development agency for Irish film and animation investing in Talent, Creativity and Enterprise. The agency also supports and promotes the Irish film industry and the use of Ireland as a location for international production. The role will consist of working with the three Project Managers on scripts that are in mid to late stage development to help improve quality. This will involve assessing with the Project Manager where the issues with a script lie and communicating this to the producing teams through meetings and/or written notes. The Script Consultant may be the first read on a project that has delivered during a development stage – this is to help with time frames and the progress of projects. This is not intended to replace the role of the script editor employed by the production company, rather it is to help the Project Manager team focus on the crucial late stages of development. Strong proven track record of working in the film and television industry is essential. Demonstrated experience in the script development process including script editing. Experience of working directly with writers, directors and producers in the development and script editing process. Ability to work under tight pressure and deadlines. A positive forward thinking approach to the task in hand. Interested applicants are invited to forward a detailed CV and covering letter that highlights relevant experience to recruitment@irishfilmboard.ie by Friday 19th January 2018 at 5.30 pm. As part of your covering letter address the Essential Experience and the Essential Qualities and also please set out a statement on your own vision for improving quality of Irish screenplays. This position will be offered as a 1 year contract which may be extended at the discretion of IFB. The Story Consultant position will be offered as a Contract for Services. The remuneration will be offered at a €40,000 for the services. The inaugural Killarney Mountain Festival takes place in Killarney in March 2018. 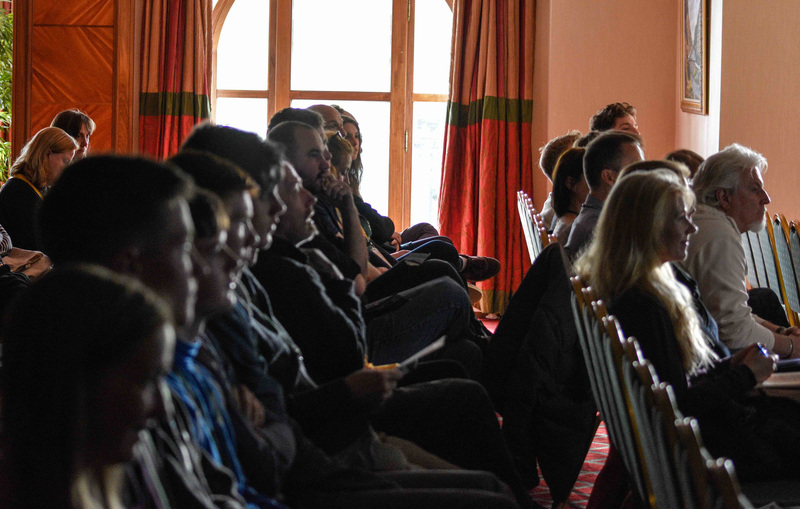 Submit a short or feature film to Killarney Mountain Festival celebrating the great outdoors. Working in partnership with the renowned Kendal Mountain Festival, the Killarney Mountain Festival will host a celebration of all things mountain and adventure related over the weekend of March 9-11 2018 and the aim is to provide the biggest and best social event for outdoor enthusiasts in Ireland. As Ireland’s adventure capital, Killarney is home to the biggest mountain range in the country, the MacGillycuddy’s Reeks, and is a natural location for this festival. The programme of film screenings and events will include adventure, environmental and mountain films along with speakers and workshops. Award categories in short and feature film categories will be presented. Ahead of No Budget’s screening of Zoe Kavanagh’s Demon Hunter at Filmbase, Film Ireland finds out more about this Irish film collective. We are simply a show for filmmakers with no budget made by filmmakers with no budget. But on another level similar shows tend to take themselves too seriously. We don’t try to pass ourselves off as experts. We are like everyone else in the no-budget filmmaking market, learning as we go and trying to make short and feature films that do well in festivals whilst having fun and passing off what we have learned in the process to others. We had been talking about doing a podcast one day and how most of them seemed more related to big-budget films or about breaking into the indie film market in the US. After a discussion about doing something for Europe we came up with an idea for a YouTube show, since it’s more of a visual medium. We then reached out to a few people we had worked with in the past to join us and with that one of the best indie filmmaking shows in the interwebernet was born. Can you give us a little background on yourselves. Milo Denison – Milo studied acting in the US and is the owner of D Studios Photography and Media.He now shares his time in front of the camera and behind it as an actor, director, and director of photography. He has worked on films that have shown in the TMC London Film Festival, Galway Film Fleadh, and the Chicago Irish Film Festival to name but a few. Cathal Feeney – Cathal got involved in filmmaking when he joined a film club in 2011. In October of that year he entered the Offline Film Festival 60hr challenge and took first prize. Since then he has taken over the running of the club and gotten involved with No Budget. His latest film Level 2 has been screened at the Vienna Independent Film Festival, the Prague Independent Film Festival and the Solaris Film Festival where it won the best screenplay award. Working on a film at some point. We are coming up to two years now and have produced over 100 videos. In addition we recently organized our first No Budget event where we screened the feature film Lift, which was a big success. The show will continue to emphasize interviews with filmmakers with an instructional twist. We are also working on more tutorials and ways to contribute to independent filmmaking in Ireland. This might be through more screenings for independent films. No Budget present a screening of Zoe Kavanagh’s Demon Hunter on Thursday, 19 October 2017 at 7pm at Filmbase. The screening will be followed by a Q&A with Zoe and some of the cast. Mark Sheridan talks to director and co-writer Zoe Kavanagh about her film. The 18th Kerry Film Festival will run from 19th-22nd October 2017 bringing exceptional short films from around the world along with national and regional programmes. The festival will also host, for the first time, a platform for first time feature film makers. These DISCOVERY FEATURES will screen on Thursday 19th October and each feature film will be preceded by a featured short film. There will be school screenings supported by the IFI and film festival exchange favourites, Nickel Film Festival Tour. The awards ceremony will take place at the INEC where awards are presented in seven different categories. Kerry connections are plentiful in the festival. Opening night film, THE CREST saw much of the film captured in Kerry and follows two descendants of an Irish King who meet for the first time in Ireland. The Crest is a story of family, immigration and the value of tradition and culture. Ireland’s submission for the Foreign Language category at the 90th annual Academy Awards, SONG OF GRANITEwhich revolves around the life of the great traditional Irish singer, Joe Heaney, will screen in Cinema Killarney 0n Friday 20th October. The Irish premiere of SCORE – A FILM MUSIC DOCUMENTARY. 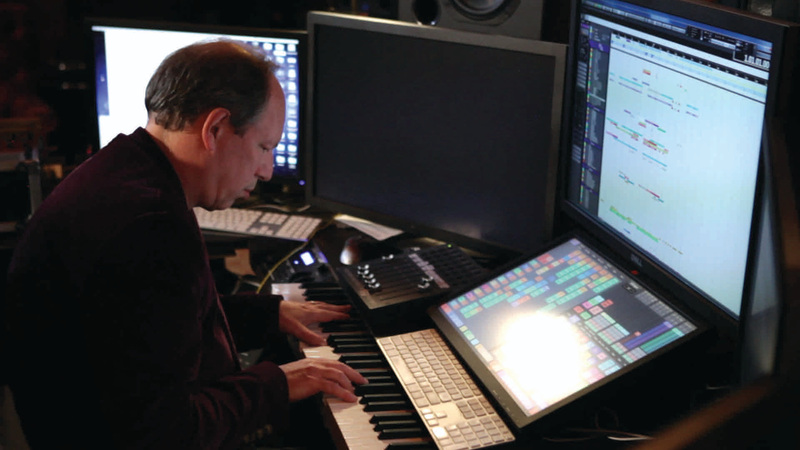 This documentary brings Hollywood’s premier composers together to give viewers a privileged look inside the musical challenges and creative secrecy of the film score. SCORE will have a FREE screening at St. Mary’s, Church of the Sloes, Killarney on Friday 20th October. 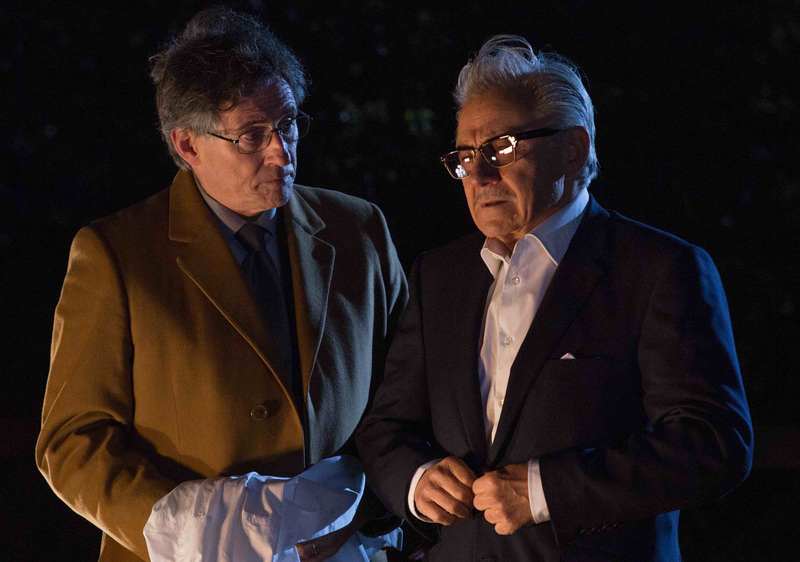 Kerry Film Festival will host the Irish Premiere of LIES WE TELL starring Gabriel Byrne and Harvey Keitel. When his billionaire boss Demi (Harvey Keitel) dies, chauffeur Donald (Gabriel Byrne) is given one final job – to wipe out any evidence of Demi’s relationship with his mistress, the enigmatic and beautiful Amber (Sibylla Deen). Unwittingly drawn into a dangerous urban underworld, he encounters dark, harrowing practices, and a sinister criminal figure who will test him to his very limits. Industry sessions including panel discussions, in conversation and Q & A sessions. Kerry natives Maura Kelly (Emmy-winning Producer/Purple Mountain Media) and John Flahive (Kevin Roche: The Quiet Architect) discuss working abroad in film and media. What is your Film Festival Action Plan?Katie McCullough from Festival Formula will guide you through the vast film festival landscape and offer advice and tips on building a festival profile and action plan. BIFA Producer Andy McDermott will discuss the making of feature film, LIES WE TELL from development to funding to casting and production. Director Stephen Gaffney’s horror debut Red Room is set to open this years Underground Cinema Film Festival on August 31st. Red Room observes Kyra, Alison, and Lily – three girls snatched off the streets and held captive in a rural Irish home where they await their turn to enter the Red Room. The film is the final chapter of Gaffney’s “Deep Web Trilogy” – a combination of thriller, crime, drama, and horror which delves into the darkest corners of the Dark Net. Written by Stephen Gaffney and Erica Keegan, the feature stars Amy Kelly (Red Rock), John D’alessandro (Class-A, Cardboard Gangsters), Eddie Jackson (Game of Thrones), Brian Fortune (Game of Thrones), Alan Sherlock (Lift), and Fionna Twamley-Hewitt (Red Rock, Charlie), alongside Saoirse Doyle (Class-A, Crone Wood), Rodrigo Ternevoy (Fair City), Aisling O’Neill (Fair City), and more. Red Room is produced by Marc Hughes (Sicario Pictures) and is released by Deep Web Film and will be screened at the Royal Marine Hotel, Dun Laoghaire at 6:30pm on Thursday, August 31st. James Bartlett takes another look at War for the Planet of the Apes. The third in the series following Rise and Dawn (don’t worry, their stories are summarized at the beginning), War for the Planet of the Apes sees Caesar (Andy Serkis) leading his genetically-enhanced simian people in what seems to be a happy life – except that the humans just won’t leave them alone. Nearly wiped out by the Simian Flu, the humans are now represented by a violent force of Alpha Omega soldiers led by the Colonel (Woody Harrelson). Some scared apes have turned traitor and joined him, so Caesar agrees to a plan to lead his people across the desert to a new home – but the word gets out and there’s an attack, and the Colonel kills Caesar’s wife and son. Wrenched away from his desire for peace, Caesar vows bloody revenge, reluctantly allowing Rocket (Terry Notary), Maurice (Karin Konoval) and Luca (Michael Adamthwaite) to join him on his quest to travel to the border and hunt down the Colonel. En route they come across a mute girl named Nova (Amiah Miller) and a long-hidden escapee from a zoo, Bad Ape (Steve Zahn), but by the time they have reached the former weapons depot at the border, Caesar’s people (including his young son Cornelius) are there behind bars – and Caesar himself is then captured. The final story in the reboot trio, this has received excellent reviews for its camerawork, direction and performances, Serkis’ motion capture work in particular (he’s surely the best actor ever in that regard). There are long stretches with no dialogue or subtitles here – only a few of the apes can speak, while Harrelson gets to chew the scenery as a Colonel Kurtz-type – yet we’re just as engaged with these characters and their feelings, friendships and families. Despite the title, this is no all-out action movie, and in a time when superheroes seem to dominate the cinema screens, to see a story that is about humanity and so many of the traits we associate with it (but from characters who can’t just shake off endless pummeling) adds a real frailty and emotion. The special effects – aside from the cinematography of stunning snowy mountains and landscapes – are first rate, and rarely do you not feel that these are real creatures we’re seeing; sometimes the many shots of the faces – and those eyes – make you almost want to look away. More than that – and again arguably separating it from some superhero fare – there’s some real complexity here in the plot and storyline, with allusions to the ancient Hebrews, African-American slaves and Native Americans, all wrapped in our own needless inability to stop interfering with the planet and its creatures. Nature always wins in the end though – and the Colonel’s final scene has a great bon mot – but he’s not the only character we won’t see again in the next sequel. Mark Sheridan’s Crone Wood is set to screen at Grossmann Fantastic Film Festival in Slovenia this Thursday,14th July 2017. The film follows a young couple who enter the woods of Ireland and discover that not all of the country has left its Pagan roots behind. Crone Wood is the feature horror debut by Mark Sheridan, starring Elva Trill and Ed Murphy. The Grossmann Fantastic Film Festival runs 11-15 July. DIR: Alex Kurtzman • WRI: Allan Heinberg • PRO: Charles Roven, Deborah Snyder, Zack Snyder, Richard Suckle • DOP: Matthew Jensen • ED: Martin Walsh • DES: Aline Bonetto • MUS: Rupert Gregson-Williams • CAST: Tom Cruise, Russell Crowe, Sofia Boutella, Annabelle Wallis. Shared universe cross-film franchises are so hot right now. Universal kicks off their ‘Dark Universe’ series (lawsuit pending from Warner Bros., if rumours are true) with The Mummy, a film chockfull of Tom Cruise pursuing his favourite pastime, running away from danger and explosions, and little else. While the first entry into this new cinematic universe is lukewarm at best, it yet remains to be seen whether the public will view Universal’s new venture – which will also see the Bride of Frankenstein, the Invisible Man, and the Wolfman being dusted off and pranced across screen once more – as a refreshing take on the current web of connected comic book films à la Marvel and DC, or whether the studio will fall to the same fate as Guy Ritchie’s King Arthur adaptation by greenlighting several projects before the first instalment has proven itself in the box office. Falling heavily on the ‘action’ side of the action-horror genre, The Mummy takes itself too seriously to be a fun-time summer blockbuster, but lacks the grit to provide genuine scares or tension. The ever-limbering Tom Cruise is Nick Morton, an army reconnaissance solider stationed in northern Iraq with a shady side business dealing in the trade of ancient antiquities from war-torn areas on the black market. When an attempt to infiltrate a village occupied by oppositional forces results in the uncovering of a hidden Ancient Egyptian tomb, Morton and archaeologist Jenny Halsey (Annabelle Wallis) quickly discover that their momentous find contains something far more sinister than some dusty old relics and a mummified corpse. Having unwittingly released Princess Ahmanet (Sofia Boutella), the titular ‘Mummy’, from what was supposed to be her eternal prison, Morton and Jenny find themselves on the run from a particularly archaic force of evil. Enter right Prodigium, a mysterious organisation led by the brilliant Dr Henry Jekyll (Russell Crowe) of Jekyll and Hyde fame that specialises in the study and destruction of evil in all its shapes and forms. But Ahmanet is a Mummy with a mission and poses a threat to the world that not even Tom Cruise may be able to outrun. From a technical standpoint the film is pretty competent. The visuals are strong and sleek, but action sequences throughout suffer from choppy editing and rushed pacing blurring what exactly is happening on screen. The big set pieces are handled well however, if somewhat paint-by-numbers. One of the weaker elements by far is the film’s grasp, or lack thereof, on the horror portion of the narrative. Other than a few cheap jump-scares, director Alex Kurtzman fails to utilise practically any of the possibilities that an ancient mummy brought back to life provides. Aiming at somewhat older audiences than usual Hollywood blockbuster fair (it has received a 15A rating in Ireland), the film hesitates to take the plunge into true horror, relying on the tired old clichés that are arguably the worst part of the genre. The film suffers from other, more nuanced problems too in its… shall we say, implications? It’s safe to say no one walks into a film called The Mummy and expects a completely accurate depiction of archaeological politics and the ethics involved in excavating sites in foreign conflict-ridden countries, yet the film asks us to suspend our sense of disbelief a bit too much in regard to these topics. There is definitely an unsavoury flavour of the ‘white-saviour’ complex running along the narrative; we never meet any Iraqi or Egyptian people who are not terrorists or a supernatural incarnation of evil. The question of removing artefacts from their native homeland is only touched upon once in a tone-deaf throwaway line of dialogue from Morton near the beginning of the film where he defends his theft of these ancient items as a sort of liberation – from the ignorant local people who couldn’t truly appreciate their market value, one can assume. Considering we now live in a time where historians and archaeologists from the Middle East are literally being killed for trying to preserve their countries history, it seems a massive oversight on the films part. Overall, The Mummy is a forgettable, if ever-so-slightly-sometimes-kinda enjoyable, flick that straddles on the edge of, well, edginess, preferring to be bland rather than bold.